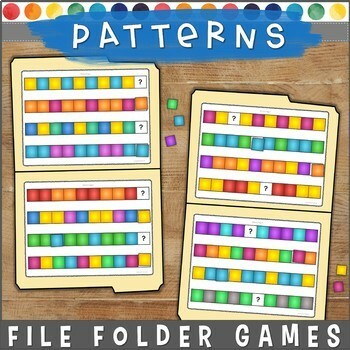 These Pattern File Folder Games are the perfect addition to your math centers! 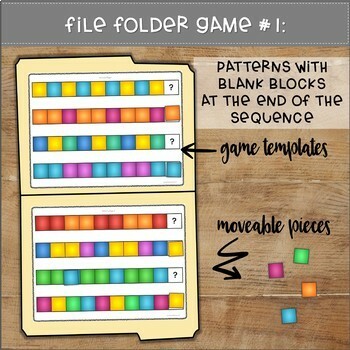 Complete pattern puzzles with these fun file folder activities. 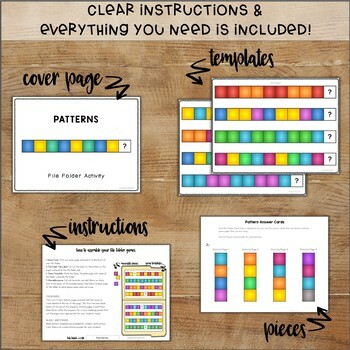 Use them as independent centers, discrete trial tasks, morning "Do Now assignments," early finishers activities, or even homework. 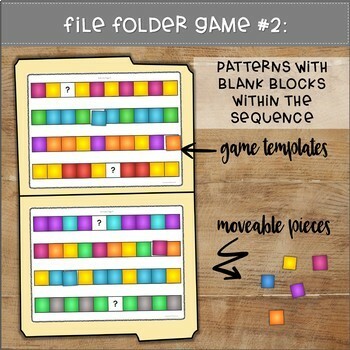 2 folder games included!